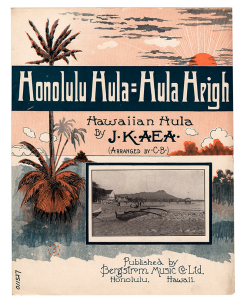 The year after Ursula’s parents traveled to Hawaii, Clara and Alfred’s names started appearing in the society news in the Los Angeles Times. More precisely, mentions of them ran in the Arts and Leisure section’s “Out-of-Town Society” column, under the goings on of Monrovia, California, between April and late August 1907. This leads me to believe the Cheshires left San Francisco earlier that year to set up temporary residence in Monrovia, a residential community in the foothills of the San Gabriel Mountains, about 20 miles northeast of Los Angeles. At the time, Ursula would have been four, going on five. 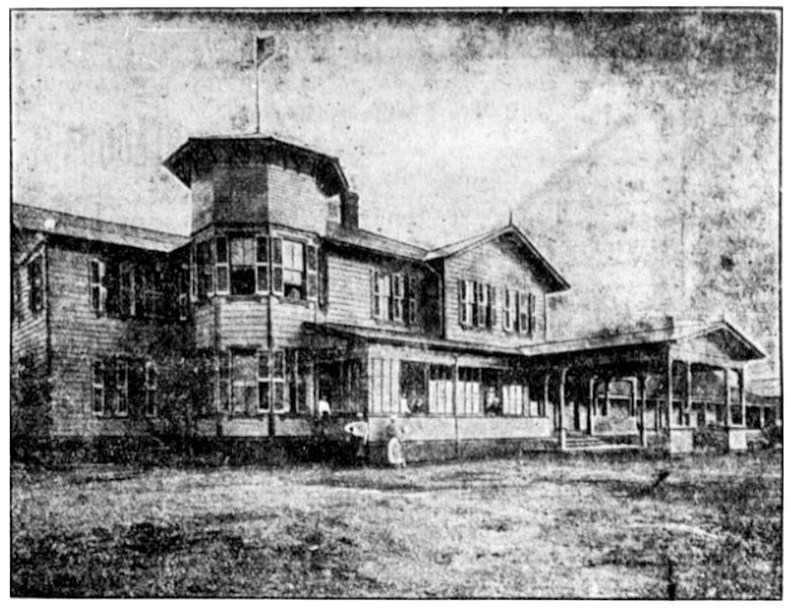 Pacific Electric’s main depot circa 1910. 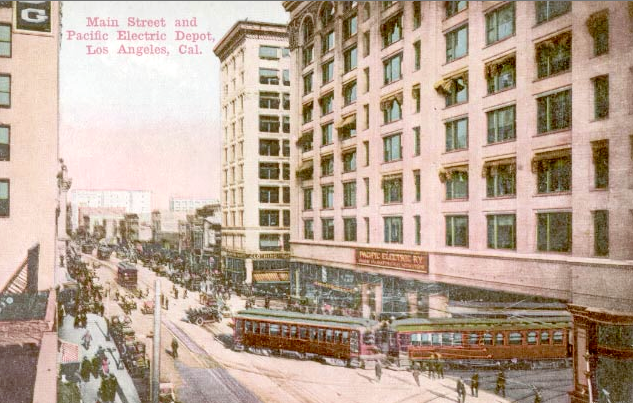 Just a few years before, the Pacific Electric mass transit system was opened, providing convenient transportation to and from LA for residents of Monrovia (and other suburbs), like the Cheshires. We don’t know why they left San Francisco—perhaps it was too chaotic for them during the city’s recovery and massive rebuilding projects following the great earthquake of 1906. Or, perhaps Alfred, who is referred to as a capitalist in a later news item, was seeking to do business in the LA area. 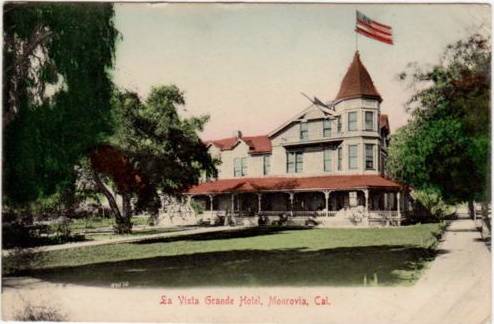 While in Monrovia, one of the events Clara attended, according to the Times, was a luncheon at La Vista Grande hotel for the P.E.O. Sisterhood, a fraternal organization still in operation today. For the event, deemed one of the “delightful affairs of the week,” the hotel’s reception hall, parlors and private dining room “were artistically decorated in gold and white with rare flowers from Mr. Best’s tropical gardens.” Clara not only attended, but also was one of two guests who entertained the group with a “musical programme,” probably playing piano (the news clip mentioned below describes Clara as “an accomplished pianist”). It seems Monrovia was a stepping stone to more permanent residence in Los Angeles. A November 1907 society item in the Los Angeles Herald announced that “Mr. 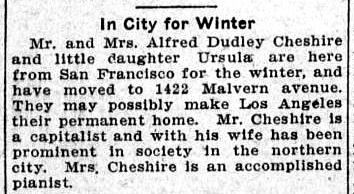 and Mrs. Alfred Dudley Cheshire and little daughter Ursula” had moved to 1422 Malvern Avenue in LA, and “may possibly make [the city] their permanent home”—which they indeed did. Ursula and her parents will start the new year of 1908 in a new home and in a new city. What adventures are in store for them there? As this is my last post of the year, I’m afraid we will have to wait until the new year of 2014 to find out! I will be taking a brief hiatus from the Mystery Dancer blog during this busy holiday season but will be back with Ursula, Clara and Alfred Cheshire in January. 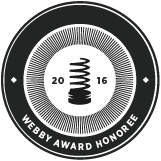 Stay tuned…and best wishes for the holidays! One thing I love about doing this blog is the historical research tangents I go on. While learning about the lives of Ursula and her parents, I am also discovering the history of such things as the San Francisco real estate market in the early 1900s, the early days of Golden Gate Park and fraternal organizations in California. If I wanted to, I could simply and fairly quickly find out the facts of Ursula’s life, write a short biography and call it a day. But that would be no fun for me nor, I think, for my readers. Thus, it may take a while for us to learn the story of Ursula—Did she become a star? Did she marry? Did she have children?—as we follow various paths along the journey. 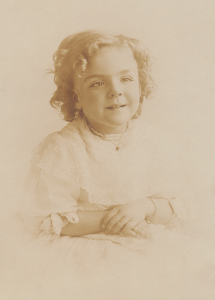 At that time, Ursula was four years old, and her name is not listed among the passengers of the steamships her family traveled on to and from Hawaii. Perhaps she stayed with her grandparents in Grass Valley, California while her folks visited the U.S territory. 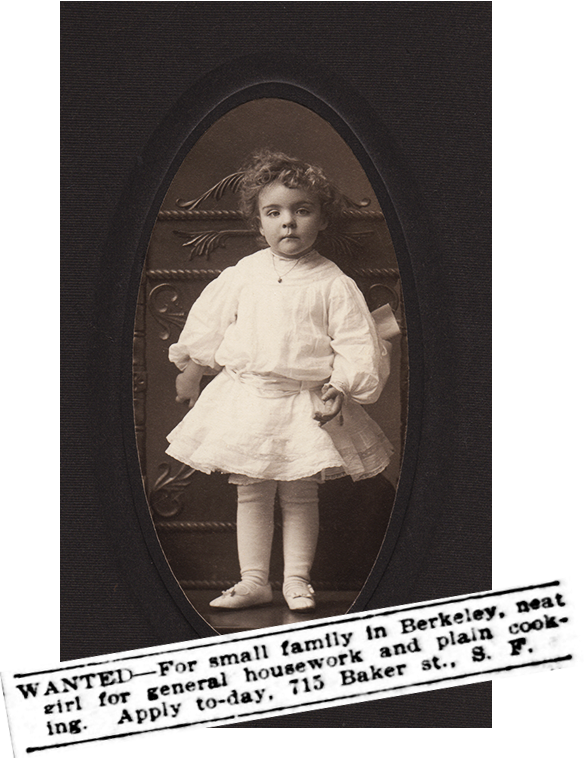 Or, perhaps the young woman her parents sought to hire in 1904 for “general housework and plain cooking” cared for her. 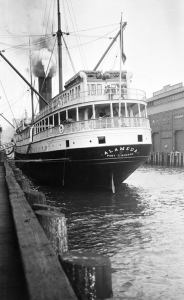 In any case, Mr. and Mrs. Cheshire and the misses Uphoff boarded the Oceanic Steamship Company’s liner Alameda in San Francisco that summer, arriving in Honolulu on the island of Oahu on July 27, 1906, as noted in the “Shipping Intelligence” column of The Hawaiian Star. As a family of means, they likely booked first-class cabins (I can’t picture Ursula’s family traveling in steerage) for their Pacific voyage, which would have taken about five days. 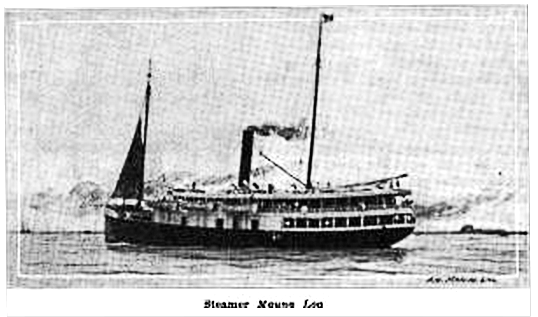 At some point during their stay in Honolulu, the gang embarked on the steamship Mauna Loa bound for the island of Hawaii. According to an article in the American Marine Engineer, the S.S. Mauna Loa—named after the Hawaiian mountain peak and commanded by a Captain Simerson—was a coal-burning, “first-class passenger and freight vessel carrying 50 first, 20 second and 152 steerage passengers,” along with bags and bags of sugar. 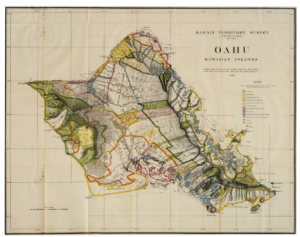 On Hawaii, the Cheshire-Uphoffs stayed at the Volcano House, a hotel situated on a bluff overlooking the Halema‘uma‘u Crater at the summit of Kilauea, one of the world’s most active volcanoes and home of Pele, the Hawaiian volcano goddess. (A version of the Volcano House exists today—you can stay there starting at $250 a night.) Kilauea is adjacent to Mauna Loa, the largest volcano on earth. In March 1906, a Hawaiian newspaper ran a funny, tongue-in-cheek article about the idea of designating Kilauea a national park, which it later became in 1916. The piece described the volcano’s crater at the top of its peak as a boiling, seething lake of molten lava. How exciting and exotic for Clara and Alfred! What stories they would have for Ursula upon their return. 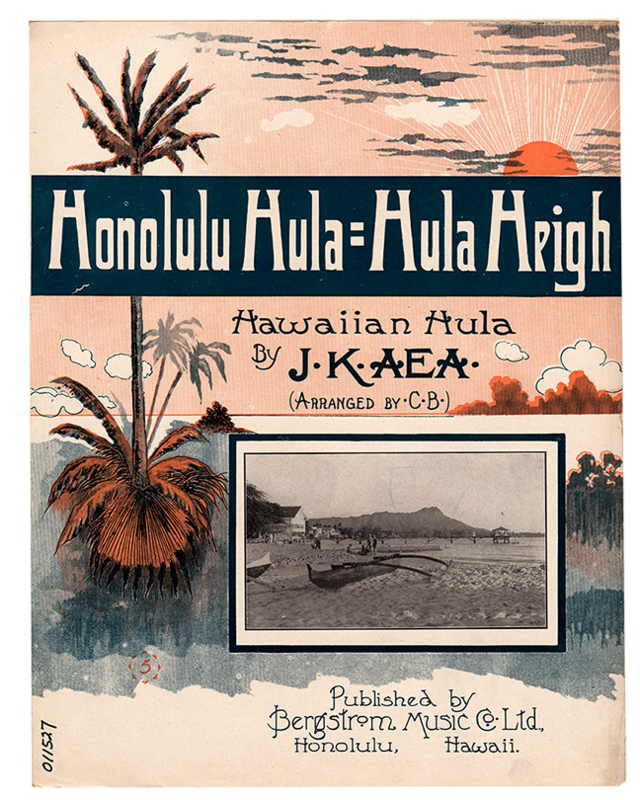 Perhaps they would even dance the hula or sing a Hawaiian music song for her—like “Honolulu Hula-Hula Heigh,” a hapa haole tune written in 1906 by J.K. Aea.